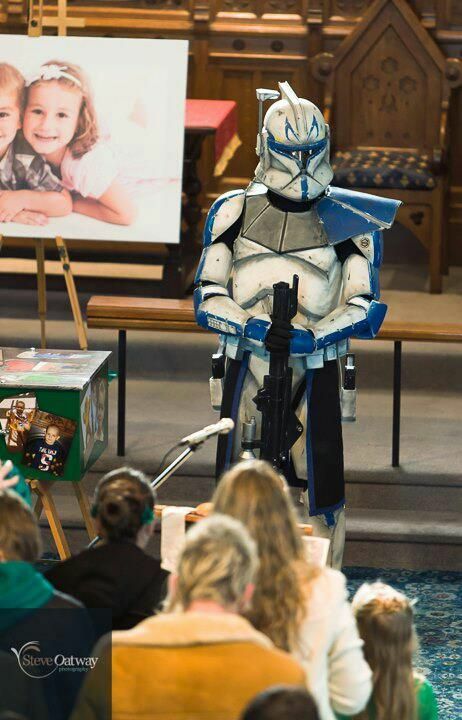 The New Jedi Order • View topic - Trooper guard of honour for 7 year old Lex Strong. Trooper guard of honour for 7 year old Lex Strong. Very few things really bring a tear to my eye these days, my job kind of desensitises to many things, but these pictures on Facebook certainly got me well and truly. Thanks to Paul Truesdale, a former member as I remember, for letting me share these pictures. 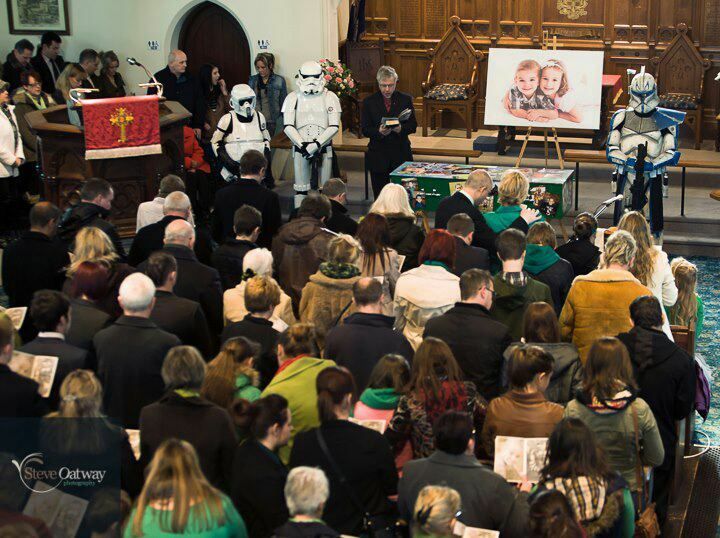 This is the funeral that took place yesterday of a little lad of 7 years old called Lex Strong, who was a massive Star Wars fan. There is also a video on this link. 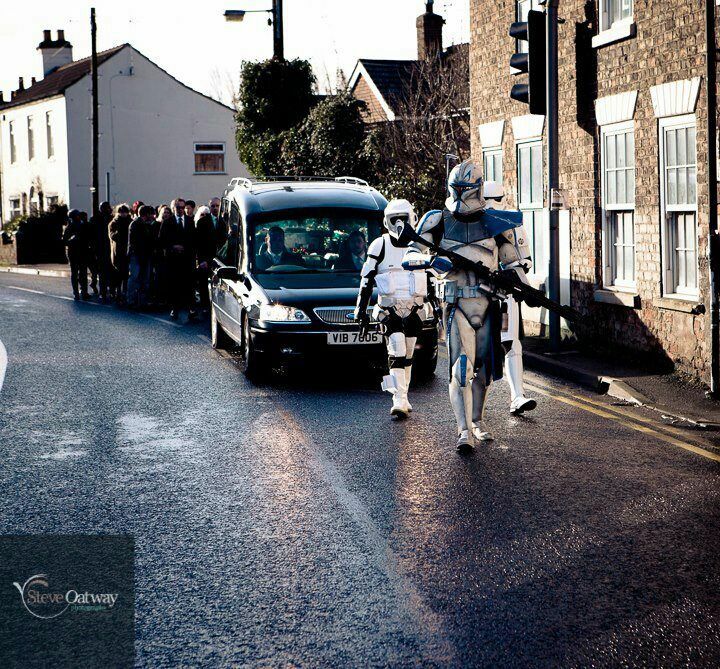 When Trooping can bring this level of kindness, thought and respect for people I am truly proud to be a "Geek". Re: Trooper guard of honour for 7 year old Lex Strong. Just looking at this now mate - first thing I looked at when I come on my lappy. seriously mate, I'm sat here with a lump in my throat and glazed eyes. Paul Truesdale (Sharky. 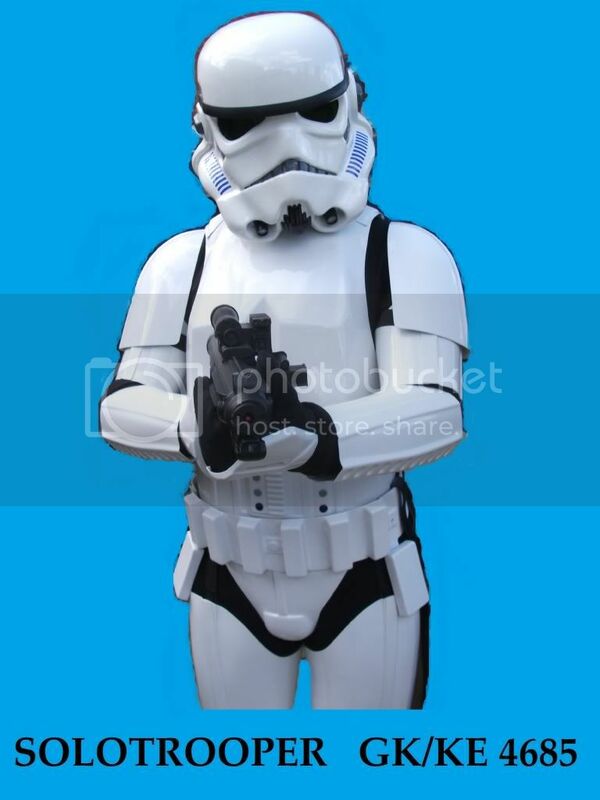 aka (on original NJO) TTT) - is a TOP bloke - Thru his and Micks encouragement etc got me into trooping - something I will always be grateful to them for. truly moving pics these are mate. Had to post them mate, really touching thing to see. There really isn't much more you can say than it is very sad and I have every sympathy for his family and friends. Words become useless in times like this. Thank's for sharing on here buddy. Sadly our attendance at this event has brought to light more cases of this terrible condition and we have a couple of events already for little kiddies who don't have long left. The next one is being held at Man United's ground for a little boy who has less than 12 months left following a long fight against this condition.